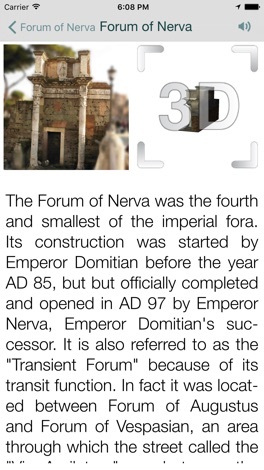 Nervar is an educational app about the ancient Imperial Fora of Rome. 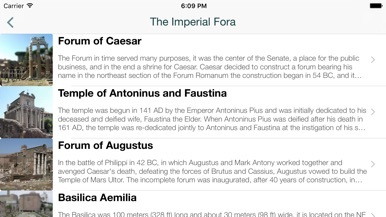 Learn about the Imperial Fora history using new technologies. - Augmented 3D reconstruction of the Imperial Fora. - See the 3D reconstruction using augmented reality. 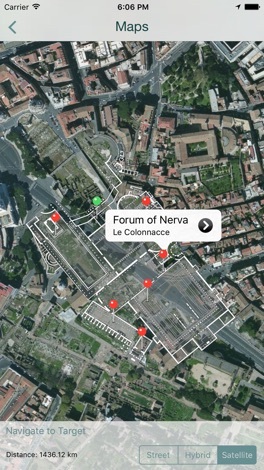 Nervar allows you to localize yourself with respect to the Roman Imperial Fora. The Area of the Imperial Fora is highlighted on the Map. 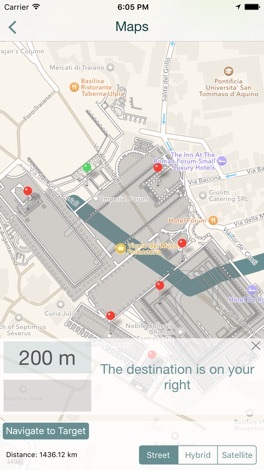 By tapping on "Navigate to Target" you can easily find the Target for using Augmented Reality features of the app. The target is an information board placed near the ruins of the forum of Trajan. In case you are not able to reach the Target Location, you can still access information (Photo Gallery, Audio Guide, Detailed 3D Model, Historical Information) by tapping on each pin corresponding to an Imperial Fora, placed on the map. 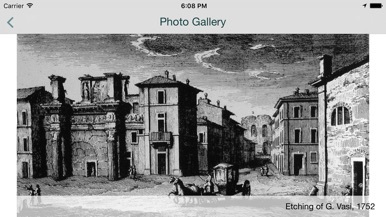 If you want to play with augmented reality and you are not in Roma. Then, using Nervar, point the camera on the target card to view a 3d augmented reconstruction of the Roman Imperial Fora projected on it. Note: You need an active internet connection to use the app. NEST LIfe 앱은 필요한 생활 정보들을 쉽게 조회할 수 있는 애플리케이션 입니다. Simple App to manage packing lists for travel. Just enter all your packing list items, make lists either for trips or particular bags. select items from the categories, and add your own items to the list. Then just pack and go. newsgrab is a news aggregation site where issuers of media releases and authors of commentaries can post their content for the world to read, enjoy, discuss and research.